While researching Malay folklore about a decade ago - for my first collection of folktales, Eight Jewels of the Phoenix - I came across this fascinating character known as Nakhoda Ragam. This dashing seafarer, also known as the Singing Captain, is described as having long wavy hair, tied in a knot behind his head. Unfortunately there are absolutely no images of him on the World Wide Web, not a single one. All I got were pictures of a Malaysian naval ship named Nakhoda Ragam! This larger than life personage was undoubtedly handsome as legend has it that he won the heart of an extraordinary beauty. However, there is some confusion about the exact identity of Nakhoda Ragam and the woman he is supposed to have wedded. The first legend is that of Lela Menchanai or Chanai Lela. Nakhoda Ragam took her for his wife but their marriage was tragically short-lived. While sailing on his perahu, Lela Menchanai accidentally stabbed Nakhoda Ragam with a gold sewing needle and he bled to death. A few sources even claimed that the needle was poisoned or that it was cursed. This is nonsense, of course. Nakhoda Ragam, like Charles Perrault's Sleeping Beauty, was cursed to die from the prick of a needle. The broken-hearted Lela Menchanai took her own life; by stabbing herself with a sword, according to some sources or by drowning when she jumped into the sea. The Malay Archipelago, used to be known as the East Indies or the Spice Islands. In the early days, Malay seafarers were renowned for their adventures on the high seas. Great sailors, these virile young men sailed through uncharted territories to build their empires. One such man was Nakhoda Ragam, a nakhoda or sea captain famed for his sea exploits around the Malay Archipelago. Well-known for his musical abilities Nakhoda Ragam was often seen playing his set of musical instruments on his ship hence the nickname 'Singing Captain'. It is believed Nakhoda Ragam was the first to give Penang its name while trading in the Straits of Malacca from Lingga to Kedah. As there was no higher or larger isolated island in his travels, he named it Pulau ke Satu directly translated as Single Island. He also gave names to other bays, rivers and points on the island. At the mouth of the river that flows into the bay, he released a tame bird called Bayan, which led to the origins of Bayan Lepas. Similarly, while passing Pulau Betong on the western coast of Penang, he encountered a heavy gale. At one point, the storm grew fiercer and his wife's face turned pale with fear. 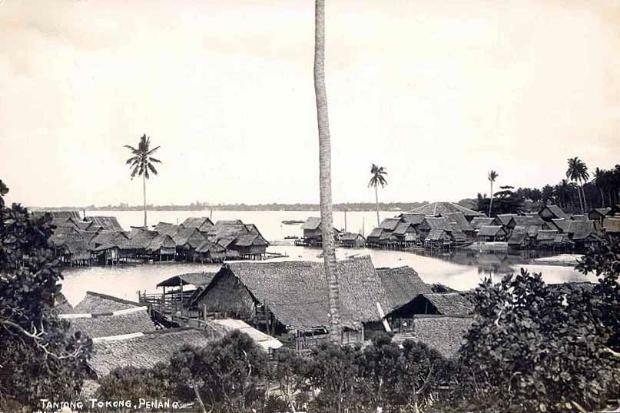 From then on the place was referred to as Pucat Muka, which means "pale faced". 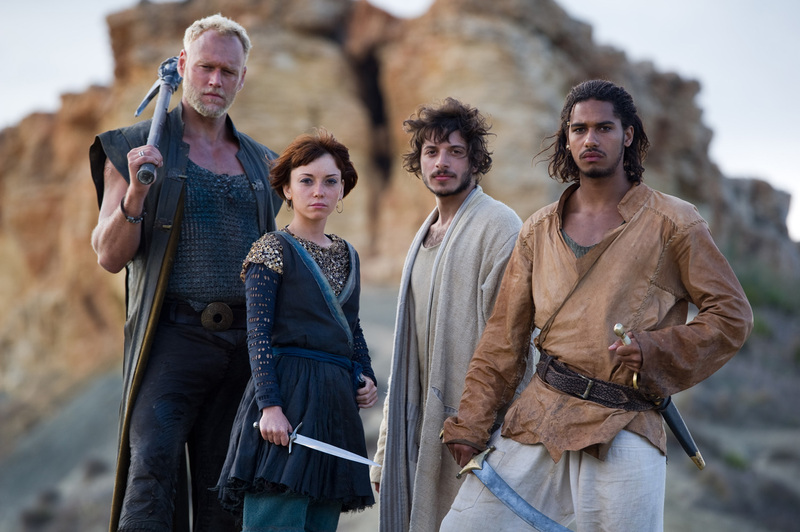 From left: Elliot Cowan (Gunner), Marama Corlett (Rina), Dimitry Leonidas (Anwar) and Elliot Knight as SINBAD, a character quite similar to Nakhoda Ragam? Some websites (mostly those from Brunei) claim that Nakhoda Ragam was in fact Sultan Bolkiah, another adventurous seafarer and the 5th Sultan of Brunei. However, this claim is highly improbable. For one thing, Nakhoda Ragam is mentioned in the Malay Annals as the son of Demam Lebar Daun, a personage associated with Sang Nila Utama, a prince of Sri Vijaya. 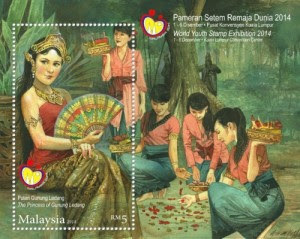 According to legend, Sang Nila Utama founded Singapore and Demam Lebar Daun was his minister counselor. Sultan Bolkiah probably lived during the 16th Century - three centuries after Nakhoda Ragam and Sang Nila Utama. The other stumbling block is that, Nakhoda Ragam died in his wife's arm, on their honeymoon and probably never had any children. Also, the President Datin Gloria Macapagal-Arroyo confirmed her royal link with Brunei in an interview with the media, while visiting the country. "It happened this way. During the 16th century, the first Sultan Bolkiah married a Filipina (Sulu Princess Lela Menchanai), whose grandson is Lakandula (a Manila nobleman), whose cousin went to Brunei in 1575, and whose grandchild is a Macapagal. The first Sultan Bolkiah, known as the Singing Captain or Nakohda Ragam, ruled during the golden age of Brunei when its territory reached the Philippines. His wife, Princess Lela Menchanai, the daughter of a Sulu ruler, has a school named after her in Kampong Ayer [Brunei], where one of the teachers is Filipina Jhonita Rivero, who has been teaching there for 16 years. "In our Pampango dialect, macapagal means something that is 'tiring'. So my cabinet members said it is tiring to work in Malacanang," she said. I tend to subscribe to the argument that Nakhoda Ragam was in fact Malim Dewa, a Sri Vijayan nobleman who was the son of Demam Lebar Daun (Notes and Queries, edited by W.E. Maxwell, MBRAS 1885 - 1887.) 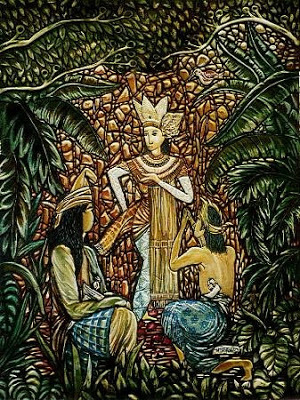 He helped Sang Nila Utama and his retinue, including his own father, Demam Lebar Daun, flee Sri Vijaya and brought them to safety to the island of Bintan. From there, they sailed to Temasik, the old name of Singapore. 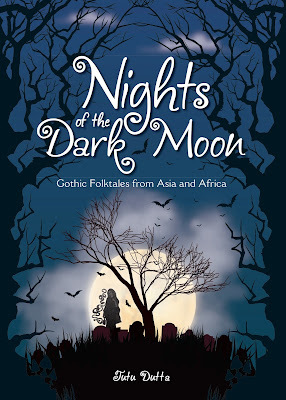 For the details of the story, read my book, Eight Treasures of the Dragon. 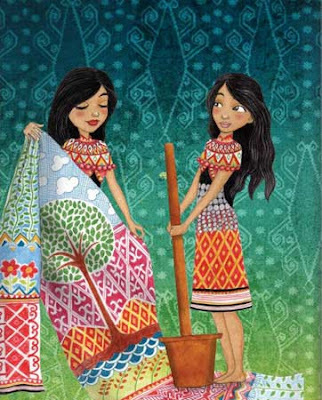 written by Raman and illustrated by Emila Yusof. So what was the second adventure to befall Nakhoda Ragam/Malim Dewa? 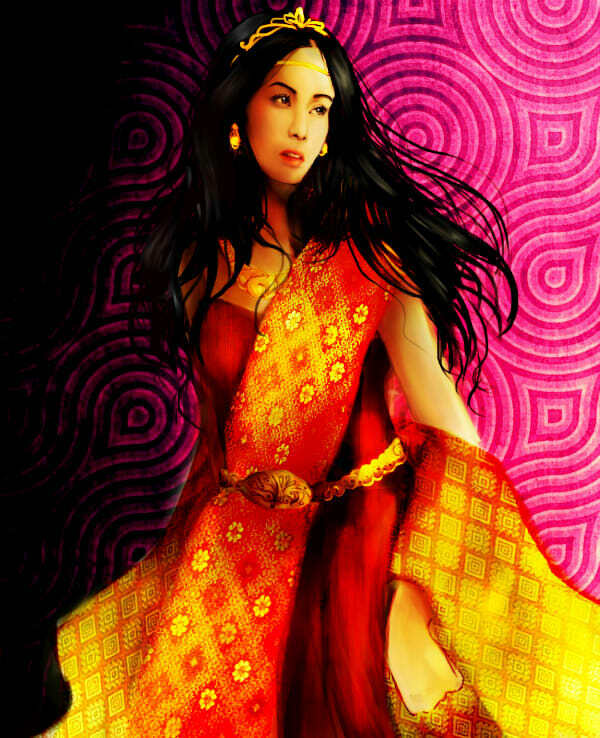 I made a huge leap in speculation and placed him on the island of Borneo where he became entangled in a love triangle with two sisters, Princess Santubong and Princess Sejinjang. He did not know of course that they were sisters, since they were as unlike to each other as night is to day. In my story (in Eight Fortunes of the Qilin) I made Santubong a powerful shaman who could summon the rice spirit and Sejinjang, the magical weaver of dreams. I saw them as archetypes - Santubong represented Day, nature and fertility; Senjinjang represented Night, art and dreams. I also reversed their traditional roles - Santubong pounded padi while Sejinjang weaved cloths. I have a reason for this - Santubong was slashed in the face - this could only have been done by a sharp spindle (which meant Sejinjang wielded the spindle), while Sejinjang had her head smashed (this could have only been done with a heavy object such as a wooden pole,) so Santubong wielded the heavy rice pestle. The other thing Nakhoda Ragam did not know was that their father was a faerie lord. Nakhoda Ragam sailed away, unaware of the heartbreak and tragedy he left in his wake because the two sisters ended up killing each other. Naturally, the only outcome is a curse. The third episode in the life of Nakhoda Ragam occurred after he espoused the fabulous Faerie Princess of Mount Ledang or Puteri Gunung Ledang. This story is uncannily similar to that of Lela Menchanai - while sailing in his perahu, Nakhoda Ragam surprised his wife with an embrace while she was sewing his garment and she accidentally stabbed him with a gold needle. He collapsed and died in her arms. The princess was naturally, horrified and heartbroken. At the same time, she was terrified that his crew would discover his death. They were fiercely loyal to him and she feared that they would do her harm. She hid in the cabin with the dead body of her husband and waited for night to fall. Then she quietly went up to the deck, donned her faerie robes and flew to Mount Ledang; vowing never to marry again... this little vignette came from Notes and Queries, edited by W.E. Maxwell, MBRAS 1885 - 1887. Puteri Gunung Ledang/Princess of Mount Ledang. Photo by Yaman Ibrahim. National Geographic Your Shot. Of course, we are now faced with the tantalising clue: Is Lela Menchanai the fabled Princess of Mount Ledang? I put forward this question to Salliza Sideni, a folklore enthusiast from Sarawak, but she didn't think so. I mentioned Salliza because she was the one who pointed out the story of Lela Menchanai to me. 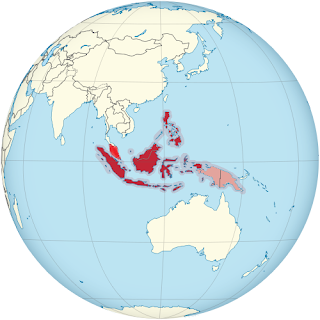 Im researching Hindu-Malay influence in the Philippines. Anyways, I need more details on Macapagal's relation with Nakhoda Ragam. When she invoked the Filipino school teacher from Brunei, I did not earn anything. AmDe Sidik - I cannot respond until you complete your message...but it seems that both the Sultan of Brunei and Mdm Macapagal acknowledge that they may be related.